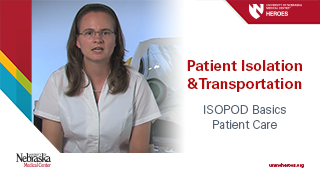 by Beth L. Beam, PhD, RN. 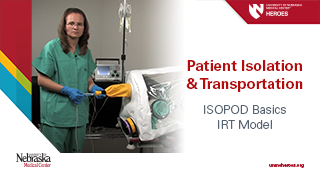 An ISOPOD is a device used in the transportation of a potentially infectious patient, either internally at a facility, or from one facility to another. 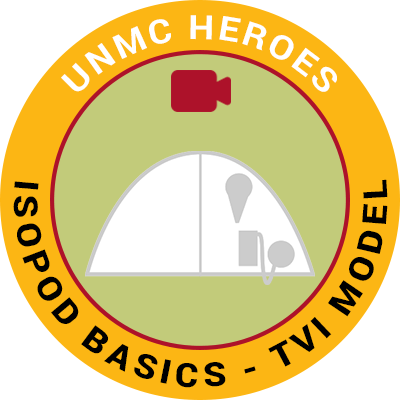 In this video Beth Beam, RN, MSN, Project Coordinator for HEROES and Director of Education for the Nebraska Biocontainment Unit, provides a basic overview of the assembly and use of the ISOPOD manufactured by the TVI Corporation.